With new smart phones and GPS tracking, it’s possible to find and locate the position of other smart phones and the human body that goes with it. But is this legal? Does privacy still exist? Japanese women apparently don’t care about privacy; they just want to know why their boyfriend is late for dinner for the fourth time this month. Luckily there is an app for them now! On 30th of august an android app called Kare Log (Boyfriend Log) was launched by a Japanese app developer named Manuscript. This app is allowing the owner of the software to track smartphone GPS data via their PC or smartphone. This app localizes the position of the smartphone, remaining battery life and call history. So if a boyfriend (or girlfriend) were cheating, the phone’s location would reveal his whereabouts, the battery life info would cancel the: “I’m sorry my phone was out of juice excuse” and the information in the call history would instantly reveal the person he or she is seeing. But what about the Find My Friends app released by Apple on the new iOS 5? Find My Friends was announced during the Apple keynote on October 4, 2011. 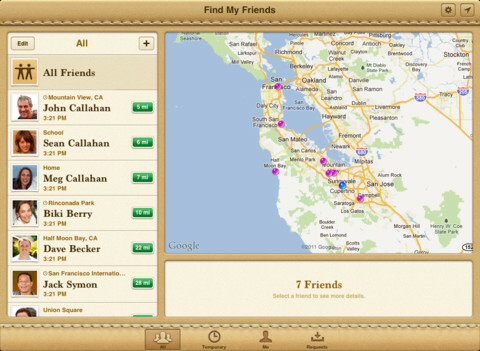 With Find My Friends, users can follow people and track where their iOS device is. Users can also share their location with the people they choose. Location is determined using GPS and notifications appear when a user requests another user to see where they are. This feature can be turned of or on at any time. Find My Friends synchronizes with other application such as Maps and Contacts. A few days after the release of Find My Friends a user on MacRumors.com posted an entry on how he turned his wife’s iPhone into a what he calls: spyPhone. It seems that we are approaching a moment with smart phones that we reached a few years back with computers in general. 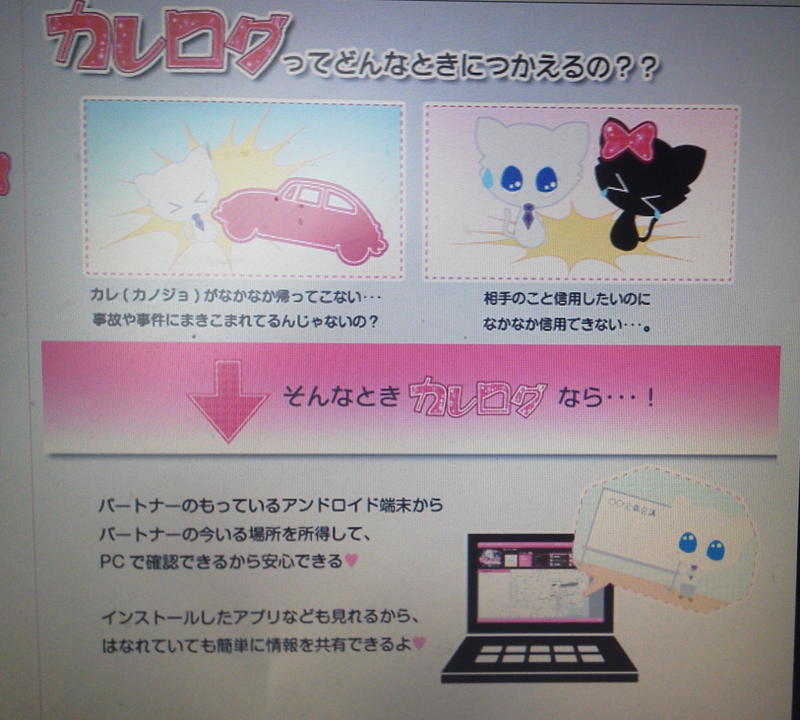 For years spyware was available to users who wanted to spy on loved ones and friends. Now it’s even closer and not only on our computer but also our smart phones. There are also positive sides to these applications like parental control and when your phone is stolen it’s a tool to get your phone back. It is amazing that location based apps like Kare log and Find My Friends have such an impact on our lives. A video currently making the rounds about a baby so used to playing with iPads, thinks a magazine is “broken”. This opens up a discussion of how technology transforms us and how this changes our own biological OS. So what about the apps mentioned above? Will these surveillance apps transform how we operate as well? The baby in the video expects a magazine page to be interactive; will we start expecting our friends to be constantly available to us? We almost expect everyone to have a social media account, are we going to expect everyone to volunteer their location at all time to us too? If a friend chooses NOT to be tracked, will we assume they are up to no good? I’m afraid we are more and more turning into a distrusting surveillance society and that can’t be good thing. Hello everyone, my name is Kate Johnson. I was able to hack my husband’s phone remotely and gained access to all his texts and calls with the help of ghosthacker2351@gmail.com, he is reliable and if you require his services, tell him I referred you. Hi guys, do you suspect your spouse is cheating on you? Or you want to get access to your kids’ or employees phones? Contact finessehackers@gmail.com to help spy on their cell phone or computer remotely, he’s quick and efficient. Don’t forget to say Kimberly referred you, I’m sure he’ll help. i went through some difficult times when i had been let down by everyone around me, i came across Jennifer killer’s post on a blog where she talked about a hacker who helped her out a month ago called (MICHAEL LAWSON), its actually impossible to put in words how much of a Genius he is and also can’t stop thanking him for helping me through my divorce case, and also my Nephews school grades. He is a Black-hat hacker and very capable of almost and everything, he is actually one of the best out there and also very good to understand what so ever you are going through, in my own case the money wasn’t the problem and i can gladly say every money spent was so worth it. I have referred some of my close friends to MICHAEL and all have been immensely satisfied with the Top Notch hacking service MICHAEL LAWSON offers.To whoever is lucky enough to read this its a fresh start for me and i am only doing this for those genuine people out there who would want the services of a hacker please as i said before be careful how you speak to him his a master in his game. He can be contacted on his services email (michael.l@hackermail.com or +1 646-652-6107). do add my name Mrs Medina Parker. good luck to everyone and make sure you look for me on Facebook to thank me later. Hello everyone,my name is Kate Johnson.i was able to hack my husband’s phone remotely and gained access to all his texts and calls with the help of ghosthacker2351@gmail.com,I use him whenever I want to be sure about someone.if you require his services tell him I referred you. Hello Everyone ,I have been living with my wife for some years now,she has been keeping late nights and also receiving calls late at night,i was afraid she has been cheating on me and a friend of mine introduced me to a private investigator Gadgethacksolution@gmail.com who helped me on spying on her.He gave me the password to her Facebook and Gmail account and also linked all her phone conversations to me.He saved me from all her lies and infidelity,he gave me all i wanted during our divorce and helped me with evidence in court. Contact : Gadgethacksolution@gmail.com.